far out. 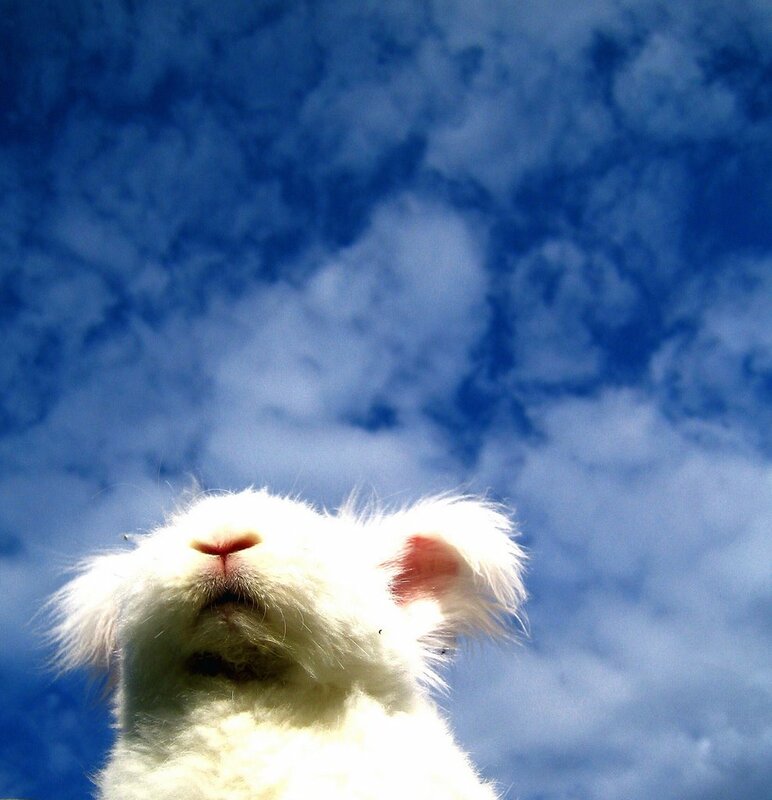 white rabbit in blue paradise. who says the worlds going to hell. looking heavenly to me. I am in absolute awe of your photography skills. It doesn't hurt that the subjects are absolutely adorable. This photo is my favorite. I enjoyed looking around at every single photo. Keep up the good work. You have great talent.